People purchase sheds to use them as storage space and for their multi-purpose functions. however, many people do not know how to or consider how to maximise the space for storage. Using shed accessories you could improve your shed organisation and accessibility to a greater degree. With some thought, you can select for common shed accessories offered by retailers like Cheap Sheds. 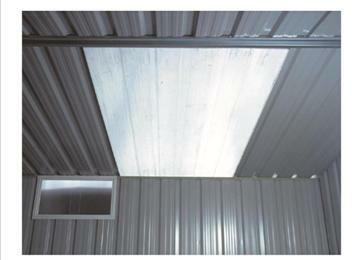 For most sheds and garages you can add additional skylight sheets. By adding a skylight you will be allowing natural light into the shed so you can see your things clearly without having to reach for a flashlight. When adding this accessory to a steel shed it will replace either a full or a half roof panel depending on the brand you choose. 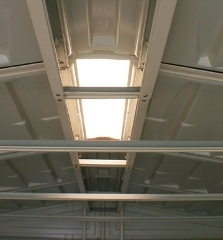 However, some of our resin sheds include a skylight ridge cap which runs the length of the roof. Another good way of letting in some light is by adding windows. 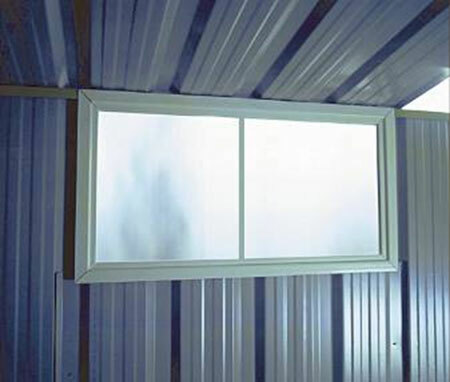 You have a few options regarding types of windows but it really depends on the type of shed you purchase. It is also best to add windows to your garden shed kit when buying one, so the correct parts are included in your shed kit saving you money and the hassle of adding it to your shed later. Our plastic and timber sheds come with fixed windows. 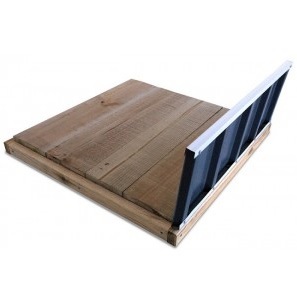 Shelving and tool hooks are available for different shed models. 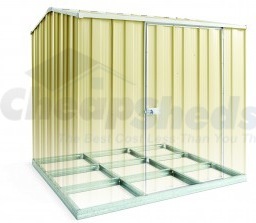 EasySheds offers Free standing shelving made from galvanised steel. It’s a pretty heavy duty shelf with adjustable shelf heights. They also have some great tool holders which are great for hanging tools, bikes, shovels, brooms, ladders or hoses. Keter sheds generally come with shelving options too, some come included in the kit and others you can add to your order. The stand out self-called the Sigma is free standing and has 5 shelves. It can hold over 30kg per shelf and is easy to DIY. Timber Stilla Sheds sometimes can have the option to add an 8ft Loft Shelf. This shelf is built in at the top and is great for using that empty space above your head. its normally only available or the larger sheds. Most models come with anchor kits or fixing kits to help secure your shed to the concrete slab. It’s important to always check if your product includes an anchoring solution and if not, add them to your kit from the accessory options. You need to also make sure you buy the right amount for the size o your shed. Why is this important? Anchoring your shed ensures your safety. If there is a storm or high winds it will keep your shed ground and keep it from turning into a deadly missile. Durabuilt currently has the best StormSHED on the market which is well worth looking into if you are in a high wind rate area. It is always recommended to lay a concrete slab for your new shed as it provides a solid and level surface for your shed. However, it’s not always an option for all people so some types of sheds come with alternative options. For example with some Absco sheds, you can add a timber flooring kit to substitute for a concrete slab. Resin sheds, generally come with a durable resin floor or you can add an option to your kit from the accessories. Depending on the model it could be a timber floor. Be sure to also consider a concrete foundation for more stability. With our Cedar Sheds, you can purchase wooden flooring kits. You can opt for the standard rebated floor kit or the heavy duty floor kit for uneven surfaces. Another add-on is the shed blanket that has recently been introduced by Absco to help keep the shed cool during summer and insulated during winter. Durabuilt offers sliding door upgrade kit and a T door handle. Extra wall height may also be obtained for their EasySHED and Workshop models. You can also add shed ramp to make getting in and out of your shed MUCH easier. At the end of the day shed accessories are there to improve your shed storage and get the maximum out of your investment. So take your time in deciding which ones will be best for your needs and make sure to add them to our order BEFORE you check out. You will be kicking yourself if you leave it till after you have built and packed your shed! There are a range of shed accessories and they change per supplier and per model so the best is to check what is on offer for the shed you like. Also be aware that the options can change depending on what is in stock or what the manufacturers are offering with their sheds. The biggest YardSaver we have is 2.8m x 2.8m and the flooring kit for that is $247. I have an Absco Eco 1.5 x.78 and I’m wondering if the hanging shelving units or the tool racks and the threshold ramp fit my shed. 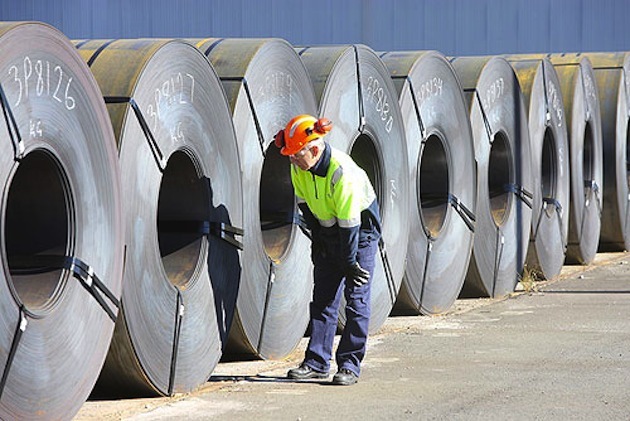 Hi Spencer, so those items in the list above are for the Spanbilt or EasyShed range I am sure, Absco doesn’t have many options for the smaller sheds. each brand, However, Absco being very similar they could probably be fixed in a similar way but I am not 100% sure. With that size Absco Eco you may be better off checking out Bunnings for some storage solutions which can be adapted to any shed 🙂 If you check your panelling inside your shed, are there slight gaps between the roof overhang and your sheeting? This is where the metal hooks would slot in .. very easy system and many options in hardware stores.